I find that having students write their own fables is essential when studying the genre. 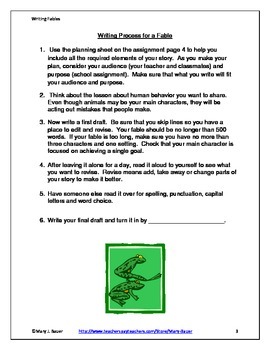 When students are engaged in a regular writers’ workshop, they read differently. If your students are not familiar with the traditional fables, read several of them aloud, or use them in guided reading groups. 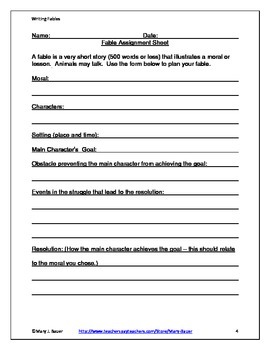 You could use the planning sheet to analyze a few. 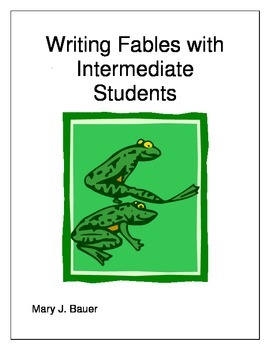 I have included two original fables to be used as examples for this lesson. 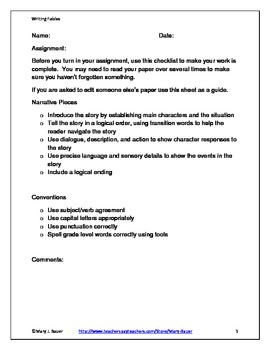 I have also included a writing process for the students, an assignment sheet, and a rubric for easy grading.